That really is a great idea and I especially love the multi-colored ones. My sock scraps are put into a project bag with the "scrappy blanket" I started a year ago...of course I haven't worked on it in 11 months!! I like the scrappiest hats the best. I put mine in my sock yarn blanket. Thinking about all the sweet little heads in those hats makes me so happy! These hats are always so cute. My fabric scraps are always out of control, even though I try to keep them sorted by color and cut often into some standards sizes. But they multiply in the night, I'm sure. I always love seeing your scrappy hats, especially the ones with several colors in them. You probably know where I've been putting my scraps, into the nine-patch squares blanket. I also have a crocheted version of various size granny squares for worsted weight that the scraps from mittens goes into. I still want to make some of these hats though. My scraps were going into the scrap sock yarn blanket but my scraps are getting ahead of me! I need to try the hats! 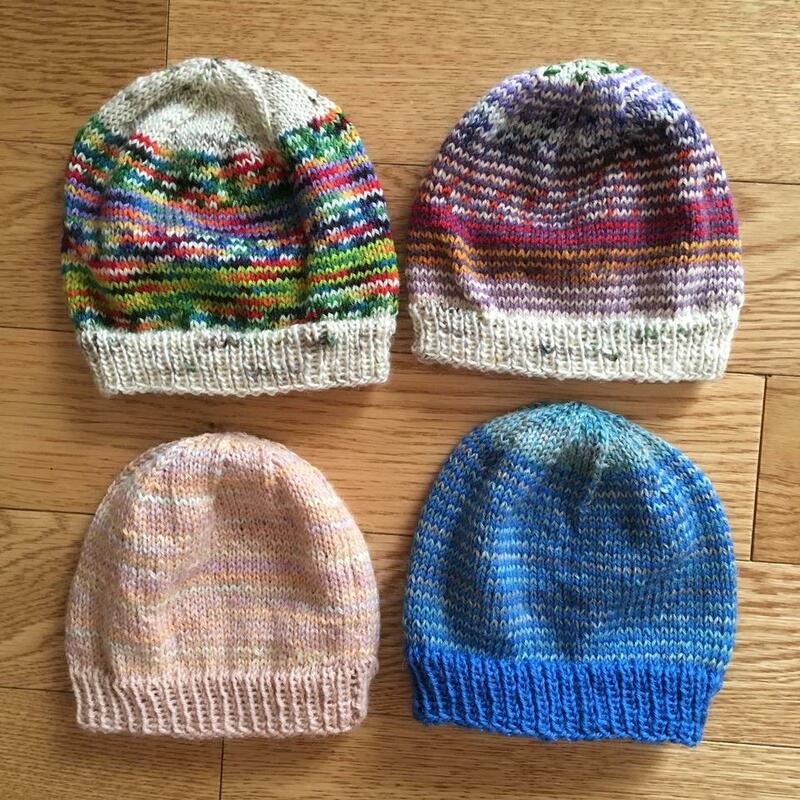 Your colourful baby hats are so cute, a great way to use up those little end bits of wool.